Welcome to The Hidden House – A gite for cyclists in the South of France. Welcome to website of ‘The Hidden House’, a gite in the village of Saint André de Sangonis in the South of France. Read the story behind The Hidden House and get the important stats on location and features. Click here to get in contact directly with me. Got a question? Ask me! This is where to go to see if Hidden House is available for your dates. I loved staying at the Hidden House! 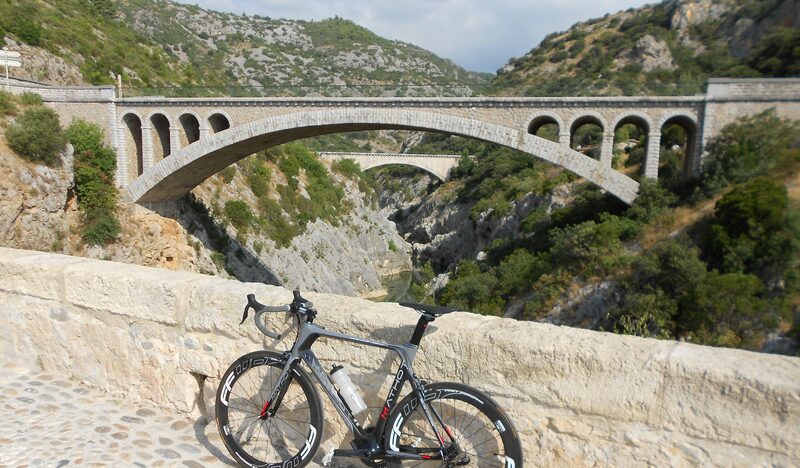 I had just finished competing in the Haute Route Ventoux which was not far away and was looking to explore something new. The riding in the area was fantastic! Quiet roads going in every direction, smooth pavement, courteous drivers and plenty of warm sunshine even in October. The house was well laid out and full of character after being tastefully renovated with everything I needed for my stay. Clean, quiet and great value. It was also a memorable experience to feel like a local for a few days as the house had a very central location in town making it convenient to explore the community. I was able to walk to restaurants, pastry shops and also a great weekly farmers market. I am happy to have found the Hidden House and will be back again! Squamish // Bike. Bed. Breakfast. I recently visited Chris and his beautiful region and have nothing but great things to say about both the region and the host. This is a man that knows the region like the back of his hand and what cyclists want. The region is spectacular but challenging and Chris was able to direct me on to some very cool roads with no traffic which just made the experience even better. I will be back for more soon.